Ankle deep in sludge and liver-deep in booze, the party fights their way through creeping vines and crocodiles to get even DEEPER into the swamp. 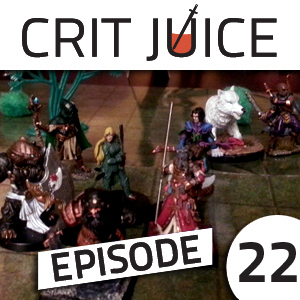 You'd think they liked it here... Will Brian's crit frenzy keep the party alive, or will MattB's drunken stubbornness to heal make this their final residence? Posted in RS007 and tagged with RS007. August 30, 2013 by Crit Juice.